Check Rates & Availability at Auburn Marriott Opelika Hotel & Conference Center At Grand National! On par for comfort and convenience, Auburn Marriott Opelika Hotel & Conference Center at Grand National provides updated rooms and exceptional services. 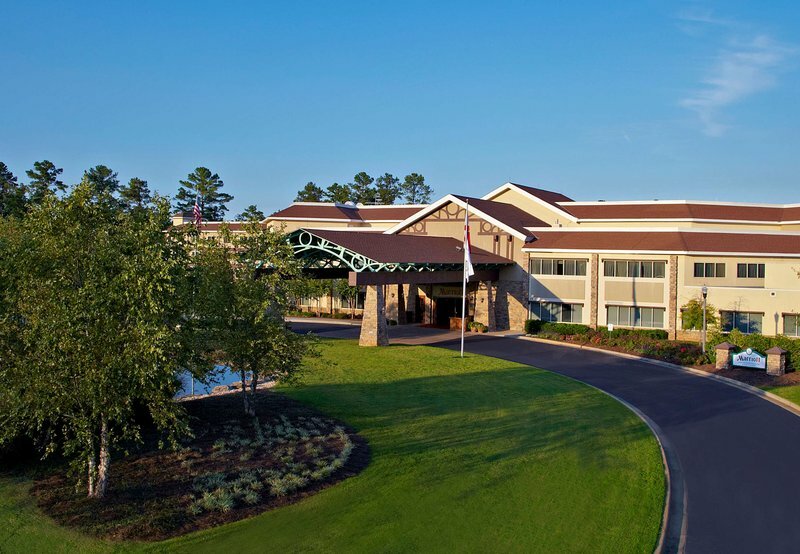 Facing Lake Sougahatchee, our hotel in Opelika offers easy access to nearby attractions. You can perfect your swing at Robert Trent Jones Golf Trail, featuring three courses with 54 holes, scenic views, driving ranges, putting greens and golf lessons. Take your family on a tour of Auburn University, catch a game at Jordan Hare Stadium or shop in downtown Opelika. After your Alabama outing, explore everything within our hotel. We house resort-style indoor and outdoor pools with bar service, as well as eight tennis courts and 13 meeting rooms. Settle into our modern accommodations featuring locally inspired d cor, private balconies and marble bathrooms. Complimentary Wi-Fi and spacious work desks are also included, allowing you to finish up daily tasks. Escape the ordinary at Auburn Marriott Opelika Hotel & Conference Center at Grand National. Open for breakfast, lunch and dinner, our signature restaurant offers diners an array of enticing American classics. Sink your teeth in succulent steaks and fresh seafood while admiring the charm of our Opelika restaurant's inviting atmosphere.